In Theory: Where Next For iPhone? Evolution or revolution? Digital Foundry on the choices facing the makers of the world's most popular smartphone. This article was originally published on our sister site Eurogamer.net in the DF Hardware channel. If our well-informed mobile sources are to be believed, within the next 12 months mobile graphics technology will finally catch up with the capabilities of the current-gen consoles. The 28nm era is fast approaching, and coupled with the advances being made in power-efficient engineering, we should finally see a mobile GPU that, on paper at least, matches the raw power of the Xenos graphics core at the heart of the Xbox 360. Think of the PowerVR SGX543 MP4 at the heart of PlayStation Vita and the Retina-enabled "new iPad". According to our sources, IMG's next-gen PowerVR "Rogue" chipset has the potential to offer 5x the raw processing power. In combination with the new ARM Cortex A15 CPU technology, we face the very real possibility of mobile devices becoming viable targets for AAA game makers. What Sony has achieved on Vita through excellent tools and direct "to the metal" access to the core components, next-gen mobile could match and perhaps even exceed through sheer horsepower. The emergence of this new tech puts Apple in a difficult position. The firm seems to have settled upon an Intel-style "tick tock" cadence, releasing an innovative product one year, and an improved version the next, before restarting the cycle. The iPhone 4S was clearly a refined product rather than a groundbreaking one, so the adoption of an A15/Rogue processor as the basis for a new state-of-the-art product looks like too good an opportunity to ignore. There's just one problem: 28nm manufacturing facilities are thin on the ground at the moment, and chip volumes can't sustain a mainstream launch like the new iPhone. There's a very real possibility that Apple's next handset may well be a revision of a revision, rather than a revolutionary new product. So where next for the world's most popular smartphone? While there's a great degree of uncertainty about the innards of the device, the tech press seems to be fairly unanimous about the exterior make-up of what is being dubbed (once again) as the iPhone 5. Apple has real issues keeping OEM part replacements for new products under wraps, resulting in a range of component-related leaks. From this, a convincing picture of the physical make-up of the next iPhone can be pieced together. Literally. Repair facility iLab Factory amassed a bunch of new iPhone parts, putting them together to give a pretty convincing picture of a completed "unibody" casing: longer than the existing 4S in order to accommodate a larger, 4-inch screen, and the traditional Apple dock connection replaced with a new smaller revision. Other changes are more subtle, with redesigned microphone grills in place and the headphone socket moved to the bottom corner of the device. The larger screen is the most intriguing element. With this year's "new iPad", Apple brought retina resolutions to its tablet, but this key innovation in screen technology had already been implemented way back in 2010 on the iPhone 4. The strongest evidence suggests that the new product retains the same pixel density as the current 4S, simply expanding vertically to accommodate the larger display, already the iOS 6 development simulator appears to support the logical 640x1136 resolution. Other smartphones have moved beyond this, with 5-inch 720p screens relatively common on high-end Android devices, but Apple's thoughts on oversized handsets are a matter of public record. Beyond the display, the casing leaks offer up few surprises, strongly suggesting that any groundbreaking new advance for Apple's new phone would be concentrated on the innards. Assuming for a moment that 28nm engineering is off the table, where does the company go from there? The most obvious possibility is that the firm will continue to follow its existing path of repurposing iPad tech, as it has done with great success with the A4 and A5 chips. The iPhone 4 and its 4S sibling utilize the same processors found in the iPad and iPad 2, down clocked by around 20 per cent in order to conserve battery life and keep heat output manageable. The logical conclusion is that the next iPhone follows suit, taking the quad core-graphics upgrade from the A5X and marrying it to the 1136x640 display. This could lead to a product that's somewhat more balanced than the new iPad, where advanced 3D games have struggled on the mammoth 'Retina' resolution. The A5X represents a linear 100 per cent boost in GPU power over the existing A5, but assuming the 1136x640 rumor is true, it would only need to power an extra 18.3 percent in resolution. Going down this route wouldn't see any kind of revolution in mobile gaming, but existing titles running on unlocked frame-rates would clearly run much faster. 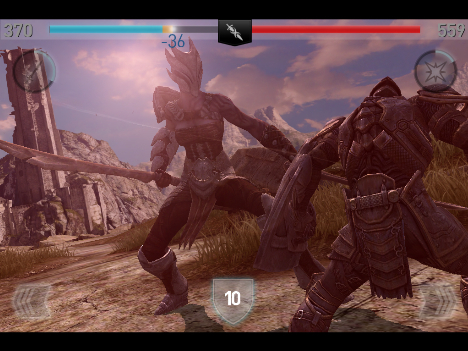 It's easy to imagine many of the most complex titles such as Infinity Blade 2 reaching something approaching 50-60 frames per second. But even this route of repurposing existing tech poses challenges for Apple. The A5X was designed primarily in order to make Retina resolutions work on the iPad. To achieve this, Apple needed to double GPU power and pack the chassis with high-power cells in order to maintain the product's signature 10-hour battery life. A5X in itself is a big, power-hungry chip, occupying around 163mm2 of silicon, that's the same as a Penryn quad-core CPU from Intel, which is also fabricated at 45nm. Unlike the existing A4 and A5, it's highly unlikely that this chip could simply be ported across to the next iPhone. Changes would have to be made. Apple has already shown us how it can meet this challenge with the revised version of the iPad 2, known internally as the "iPad 2,4". Here, the exact same A5 chip is shrunk down from 45nm to 32nm, and as Anandtech's excellent review demonstrates, the battery life improvements are significant: Infinity Blade 2, a known battery-eater, lasts for 7.9 hours on the 32nm chip, topping out at a less impressive 6.12 hours on the 45nm rendition. It's interesting to note that the same game only manages 5.58 hours on the Retina iPad despite a battery pack that's actually larger than the one found in the 11-inch Macbook Air, a combination of the demands of the 45nm A5X and the super-high resolution display. Map across the same die-shrink process to the A5X and the chip suddenly becomes a much more viable proposition for the next iPhone. Power consumption drops to manageable levels, and there's more space in the new chassis for higher-capacity batteries. A 45nm to 32nm reduction should see the size of the processor itself reduce to something much closer to the current A5 found within the 4S. 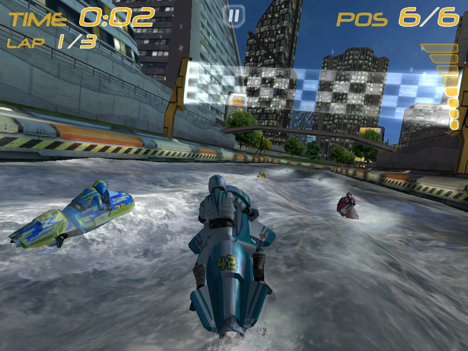 Add the usual 20 percent down clock and suddenly an extravagant, bespoke chip designed for the express purpose of driving a super-resolution tablet display becomes a viable proposition for the next iPhone, bringing with it the very best possible performance for the current generation of mobile games on the iTunes App Store. But the reality is that from a raw technological perspective, an A5X-driven iPhone would be another evolutionary product like the 4S: enviable current-gen mobile graphics performance married with a larger display, most likely more RAM and other iPad-derived elements such as 4G LTE support. Beyond the hardware, Apple would need to rely upon its forthcoming iOS 6 to provide the software features that would make a new smartphone launch look that much more attractive. Meanwhile, the launch of an attractively priced iPad Mini can only mean good things for Apple's bottom line. All of this would probably be enough to keep Apple at the top, but it could present a window of opportunity to competitors. The Qualcomm S4 chip in particular looks intriguing: it combines quad-core "next-gen" ARM Cortex A15s with a new Adreno 320 graphics core. Indeed, Qualcomm appears to be the only mobile manufacturer able to commit to 28nm technology in any serious volume in the here and now. Going forward, we could also see an A15/Rogue combo appear from another firm other than Apple. Sony has already announced such a product, with informed sources suggesting that the top-end NovaThor A9600 represents a revolution in mobile performance, the almost mythical vision of current-gen console graphics performance crammed into a single, tiny chip. In terms of a next-gen iPhone with something akin to current-gen HD console gaming performance, while it's difficult to believe that Apple will achieve it this year, it's not impossible for a company as staggeringly cash-rich as the Cupertino superpower. The tech is there, it's just a question of finding someone who can physically manufacture it and right now. Samsung, Apple's preferred partner for fabrication, isn't really in a position to make that happen. Indeed, if the firm manages to pull it off in time for the debut of the next iPad at the end of Q1 2013, with a Smart TV launch soon after, it'll be an outstanding achievement.